Placement is based on each student's unique and individual capabilities determined by our graded curriculum. Age is used as a guideline. Generally, students spend 2-3 years in each level. A minimum of 6 students are needed in order for a class to take off. If we do not have 6, the class will be combined with comparable level and age group on another day or time. Upon submitting your enrollment request for the 2018-2019 dance session, you give CDDS permission to CHARGE YOUR PRIMARY CARD ON FILE registration fee, first month's tuition, and costume deposit. If you do NOT want your card on file charged, enroll in person or do not add a credit card to your account. *NO CHARGES/FEES DUE for TRIAL classes. NO REGISTRATION FEE for Session Classes (Summer Classes & Camps, Yoga, Zumba Fusion, Modeling & Manners, etc.) Upon submitting your online enrollment , you give CDDS permission to CHARGE YOUR PRIMARY CARD ON FILE the class/session fee once the class meets the enrollment requirements. If you do NOT want your card on file charged, enroll in person or do not add a credit card to your account. Tuition is the total fee for classes enrolled. Monthly Tuition is based on the 10 month dance year, September 2018-June 2019. Tuition is due your 1st class of every month. A late fee of $20 will be applied to past due accounts after your 1st class. Tuition is due regardless of absences and does not vary. Tuition does not vary regardless of how many weeks or studio closings may fall in a month. You can make up missed classes during the Sept-June dance session by end of June. There are no make ups for Specialty or Summer sessions. NO REFUNDS on tuition or registration fee. Receive a 5% discount on tuition for the 2019-2019 year if you pay for the entire 10 months tuition in full by August 31, 2018. Cash, checks, or Visa and Mastercard accepted. Preferred method of payment is via credit card on file in your Jackrabbit Account. Checks cannot be accepted for May and June tuition after April 30. If you pay by check, May & June tuition checks must be submitted by April 30. Tuition Auto Pay is a great way to avoid late fees. Your primary card on file will be charged the 1st studio day of each month. Accounts must be up to date in order for dancers to participate in class. The dancer will be dropped from class if the account is delinquent for 30 or more days. Past due fees must be paid in order to return to class. Returned Check Fee: A $25 fee will be charged for any checks returned by the bank. This fee must be paid in cash or money order along with the original payment. If a payment is not received after multiple contact attempts, the card on file will be charged. After 2 returned checks, personal checks will no longer be accepted as payment. In the event of any refund request, there is a $10 refund processing fee per transaction. 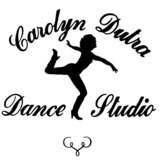 Contact Blair Dutra info@carolyndutradancestudio.com with any financial concerns or requests. We are always here for our dance families and willing to work with you to come up with a fair and reasonable agreement. A $65 non refundable costume deposit is due upon enrollment if your dancer is participating in the June Recital. Costumes must be paid IN FULL no later than December 1st. Late payments not accepted, costumes will not be ordered. No late costume orders for dancers enrolled before 12/1/18. Dancers enrolled after 12/1/18 have until 1/15/19 to submit a costume payment, pluspost processing fees, pending costume availability. Checks cannot be accepted for costumes after November 30th. No refunds on costume payments. Once costumes have been ordered in December, dancers cannot switch classes. Accounts must be up to date for dancers to receive Recital costumes. If you lose a costume or accessories, you are responsible for re-order fees. Costumes are a GENERAL size and not made for each individual dancer. Clients are responsible for ANY alterations needed to costumes. If your dancer is not in the June Recital please contact the office to bypass this agreement. There are NO refunds on any payments made (Registration, Tuition, Costumes, Summer Intensive/Camp/Classes, etc.). Credits can remain available for use through end of session. Dancers must follow our approved dress code. There must be at least 6 dancers enrolled in a class for it to take place. If a class does not meet enrollment requirements we will offer an alternative day and time. The undersigned releases CDDS from all liability for any injuries arising from or concurrent with my child or my participation in any of his/her classes or activities. The safety and security of our dancers is of highest importance to us. Dancers are not permitted to leave the studio in between classes without their parents. Dancers who are under the age of 12 must have a parent meet them inside the Studio for pickup. Under 12 dancers are not to wait outside the studio or walk home. CDDS is not liable for any dancers who leave the studio without a parent. Please call your studio if you will be late picking up your dancer. Frequent late pickups late pickups will be cause for a fee added to your account. After 2 late pickups, your account will be charged. Please call your studio location if you will be absent. Do not e-mail as we cannot ensure it will reach the office in time. If you would like to makeup a missed class, please do so within one month in a comparable class at any of our three locations. Please submit a make up class request to the office at least 2 studio days prior to the requested class. Makeup classes are no additional fee and do not alter monthly tuition. Makeup classes do not apply for summer classes, camps or Summer Intensive. Throughout the year, there may be times when the CDDS Staff, or the media, with the approval of the director, may take photographs or videos of students. These photographs or videos may appear in studio publications, on the website or on the studio Facebook page and Instagram. You can be assured that all photos are done in a professional and appropriate manner.I hereby grant CDDS permission to use my child's photograph and/or videotaped image for the purposes mentioned above. In this new age of technology, social media has become a big part of our children's lives. Cell phones are not allowed in class. Recording and Live Streaming is strictly prohibited in class and is cause for immediate dismissal from class. Posting of inappropriate photos or negative comments on any social media is strictly prohibited and will be grounds for immediate dismissal from the Studio. While we encourage CDDS Pride, any unauthorized social media accounts representing the Carolyn Dutra Dance Studio are strictly prohibited. All children are welcome at the Carolyn Dutra Dance Studios. Please provide us with the tools necessary to give your child the best possible experience at the studio by informing us of any and all special considerations - this may include information on allergies, accessibility concerns, behavioral, psychological or emotional conditions or other special needs. Details of any Individualized Education Plans (IEP) or Behavior Plans used with your child at school can often be helpful. Please put these notes under "Special Needs" in Student's Medical Information. Checks cannot be accepted for May or June tuition after April 30th. If you pay by check, May & June tuition checks must be submitted by April 30. Cash and credit are always accepted for tuition and costumes. Returned Check Policy: A $25 fee will apply for any checks returned by the bank. This fee must be paid in cash or money order along with the original payment. If a payment is not received after multiple contact attempts, the card on file will be charged. After 2 returned checks, personal checks will no longer be accepted as payment. In the event of any refund request, there is a $10 refund processing fee per transaction. Students, parents and guardians agree to follow all rules, regulations and policies of the studios. This includes keeping account balances current. Delinquent accounts will be cause for dismissal. On outstanding accounts: client agrees to pay all costs of collection, including attorney fees. Any inappropriate behavior, language or disrupting the harmony of the studio is cause for dismissal. CDDS is not responsible for lost or stolen articles.